rsv : Respiratory syncytial (sin-SISH-uhl) virus, or RSV, is a common respiratory virus that usually causes mild, cold-like symptoms. 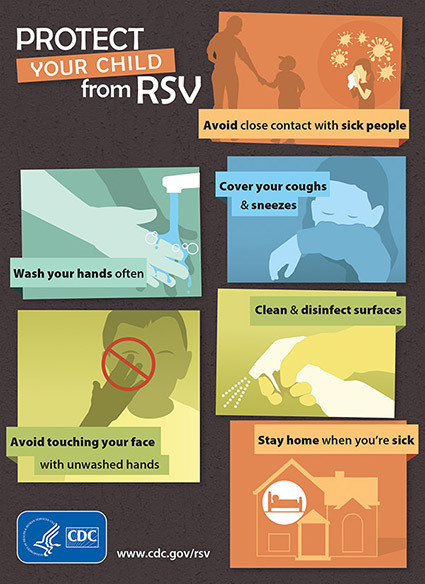 Most people recover in a week or two, but RSV can be serious, especially for infants and older adults. In fact, RSV is the most common cause of bronchiolitis (inflammation ...Respiratory syncytial virus is a common, and very contagious, virus that infects the respiratory tract of most children before their second birthday.. For most babies and young children, the ...RSV causes a wide variety of symptoms, ranging from very mild to life threatening. The type and severity of symptoms depend on multiple factors, including the particular strain of the virus and whether the patient has other underlying medical problems.Respiratory syncytial virus infection is a common illness that affects the lungs. It can seem like a cold, but may be severe, especially in children. Know the symptoms and treatment.Respiratory syncytial virus (RSV) is a very common virus that leads to mild, cold-like symptoms in adults and older healthy children. It can be more serious in young babies, especially those in certain high-risk groups.Respiratory syncytial virus (RSV) is a major cause of respiratory illness in young children. Learn how to recognize the signs and symptoms of this contagious infection.Respiratory syncytial virus infection is a common illness that affects the lungs. It can seem like a cold, but may be severe, especially in children. Know the symptoms and treatment.Human orthopneumovirus, formerly Human respiratory syncytial virus (HRSV), is a syncytial virus that causes respiratory tract infections. It is a major cause of lower respiratory tract infections and hospital visits during infancy and childhood. A prophylactic medication, palivizumab, can be employed to prevent HRSV in preterm (under 35 weeks gestation) infants, infants with certain congenital ...Respiratory syncytial virus (RSV) causes mild, cold-like symptoms in adults and older healthy children. It can cause serious problems in young babies, including pneumonia and severe breathing problems.